A Chinese smartphone manufacturer Huawei is due to release its 2018 flagship lineup and a database leaked on Weibo (Chinese social media) apparently repeats that, along with a veer of specs and other numbers. Instead of announcing a Mate 11 (successor of last year’s Mate 10), Huawei is skipping straight to Huawei Mate 20. The availability of Huawei Mate 20 in Australia is yet to be announced, but a handsome amount of specifications have already been revealed. Rumoured to sports Huawei’s own Kirin 980 processor coupled with either 4GB or 6GB of RAM and either 64GB or 128GB of onboard memory. In our Huawei Mate 20 review, we’ve tried to cover each and every factor including its release date, price, specifications (unofficial) and features. So, without a further ado, let’s meet Huawei Mate 20. This time around, there is no official word regarding Huawei Mate 20 release date. Huawei didn’t reveal much information, you should take this information as a pinch of salt. 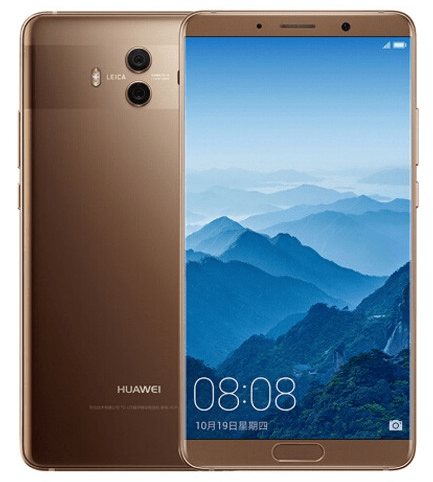 Previous models namely Mate 8, 9 and 10 were released in November in successive years. So, it’s expected that Huawei will announce its Mate 20 sometime in October, and will be available shortly after the end of October and begin in November. The Huawei Mate 20 release date in Australia is also yet to be announced, but it’s safe to say that it will be landed on shelves sometime in October 2018. For now, we can only put our guess. As we’ve seen that Huawei well-managed to keep Mate 10 Pro’s price under £700/$920/AU$1250. It has been rumoured that Huawei Mate 20 Price will be £800/$1050 or slightly higher than that. It’s hard to say how much Huawei Mate 20 will cost as we simply don’t know how exactly which upgrades it will be loaded with. As far as Huawei Mate 20 Price in Australia is concerned, it will set you back around AU$1425. Again, it’s just our educated guess, though. How much exactly will it cost, it’s something we don’t know yet. As soon as we hear more, we will update this page. Here is a quick rundown of Huawei Mate 20 specifications and features. So, let’s have a look. The Mate 20 comes with a gorgeous 6-inch AMOLED display which is well-supported by 1440 x 2880 pixels resolution. The results in an awesome pixels density of 537 PPI. To protect the display, a Corning Gorilla Glass is placed and a fingerprint scanner is present that enables you to secure your phone. However, the display is sharp, crisp and bright with an excellent colour reproduction and sunlight legibility. The viewing angles are great and give the users a good visual experience. To install all kind of data and heavy games, Huawei Mate 20 is backed by 64GB and 128GB onboard memory. The built-in memory is expandable further up to 256GB via microSD card. Hence, you can save sufficient amount of songs, videos and even movies with ease. On paper, Huawei Mate 20 is equipped with a solid 24MP front snapper which helps you to capture mesmerizing selfies. Not only this, it also facilitates high-resolution video calls. The back side, on the other hand, is covered by a dual 12MP sensor. These 2 lenses are capable enough of capturing wide-angle images. Interestingly, you can record 4K videos at 30fps as well. Performance wise, Huawei Mate 20 won’t disappoint users and it’s powered by HiSilicon Kirin 970 which act as the brain of the phone. There is either 4GB or 6GB of RAM ensures flawless and seamless performance when working on multiple tasks. In short, multitasking, switching between apps or playing graphics enriched games all are superbly smooth. To give a handsome amount of backup, Huawei Mate 20 boasts 4100mAh non-removable battery. Either it comes with fast charging technology or not, it’s still a mystery. Besides, the battery promises to keep you up all day long under heavy usage and delivers a little more with casual usage. The Mate 20 is loaded with an extensive range of connectivity options like Wi-Fi, Mobile Hotspot, Bluetooth, GPS, NFC, USB Type-C, B4G with VoLTE and more. In terms of sensors, Huawei Mate 20 houses several sensors such as fingerprint sensor (rear-mounted), light sensor, proximity sensor, accelerometer, compass, and gyroscope. There you have it – Huawei Mate 20 is a flagship smartphone boasts a good enough battery which provides the stamina to run the continuous entertainment for long hours. Moreover, butter smooth performance, excellent cameras setup making Huawei Mate 20 stand out from the competition. The videography and photography experience of the users will definitely be enhanced due to the presence of the greatest camera. All in all, Huawei Mate 20 is one of the best smartphones you should get your hands on.